Applying the practical information you read on love signs makes your chances for a compatible relationship better. You can use what you know about your Astrology signs to see how your wants, needs and personality traits would mesh with your Partners signs. When should you apply love astrology information? If occasionally in the course of your interaction with someone you're dating (or otherwise engaged with), and you hit a wall. Using Astrology is a good choice to make. Knowing about star signs will give a good deal of insight into your lover's attractions. Should you take Love Astrology Seriously? Of course, love astrology isn't written in stone. While the one you love according to your chart, may not be a definitive astrology love match for you, you shouldn't just give up. Certainly you shouldn't dump someone or not date them because you don't have horoscope compatibility. At the very least be positive in the fact that now have some insight on what compatible zodiac signs you have in your love horoscopes. What kind of help does interpretation of your love astrology signs give you? By interpreting the universal zodiac love powers that pull you in and matching that against the ones that appeal to your lover, you'll be able to discover how to make any relationship function in ways that make you both happy. Where do you get the facts about your Love Astrology Signs? How accurate is your love horoscope. If you have gotten more than one chart drawn up you'll see that there are similarities among many of them. Determine which one depicts your qualities best. You must be honest though, stick with the true description good and bad. When you have found a person or program that gives you a natal chart that you like, get a horoscope for your lover. With the help you get from knowing about your Signs, you'll understand yourself and empathize with your lover in the process. 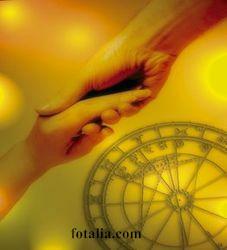 The most accurate and complete answers about astrology signs are to be found in a natal chart or birth chart. You can now be proactive and put love astrology to use and give yourself a better chance at a wonderful relationship. Why you should you use Love Astrology in your life. Find out about Astrological Signs. See the Astrology dates for all the signs.